After lots of sorting out of the lead pile, and an ongoing ebay sell off I've settled on a couple of periods that I want to spend real time on. The first is a revisit for me. A few years back I, along with a friend of mine had two ECW armies painted up. Between us there was about 600+ figures and we based them up for the Piquet ruleset. We had a number of really fun games, but then out of the blue he announced that he'd sold off his army so he could invest in another project. This left me with a big Royalist army and nobody to fight. After a while it was clear I was going to have no use for it so I sold it off. The ECW has always stayed in the back of my head though, and its time to scratch the itch once more. Even though I am without any regular gaming friends now I'm in the US I've decided that I'm not going to let that get in the way of immersing myself in this exciting period of English history. 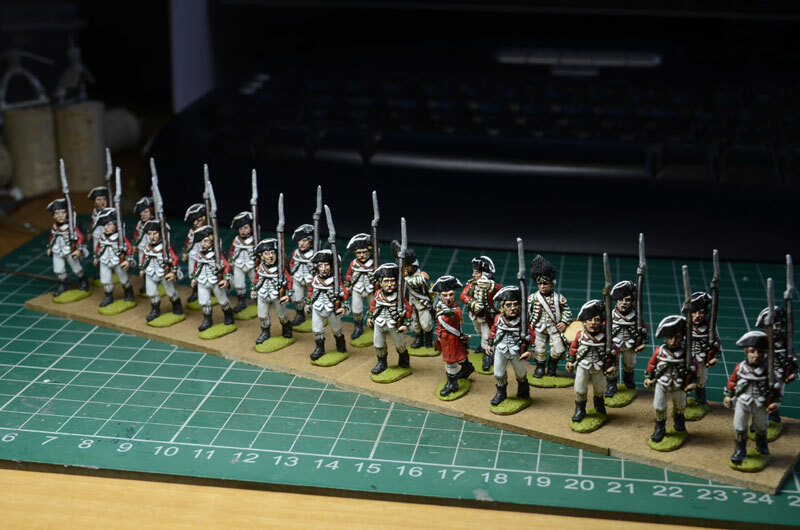 So to that end I purchased a couple of units from Perry miniatures to make a start. I know that choice wise it would have been smarter to go down the Bicorne/Renegade route as they have much bigger ranges, but I just love the Perry's figures so I opted for these, hoping that Michael will jump back in and fill in the gaps at some point (especially artillery crews, and possibly some infantry with improvised weapons if you're reading this?). First up was Haselrige's Lobsters, just because you HAVE to have them. Its the law. 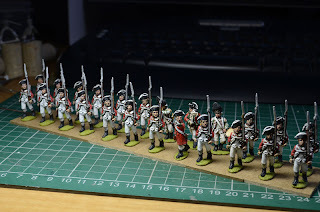 Ongoing at the moment is a light gun for my next infantry regt, Rupert's Bluecoat's. 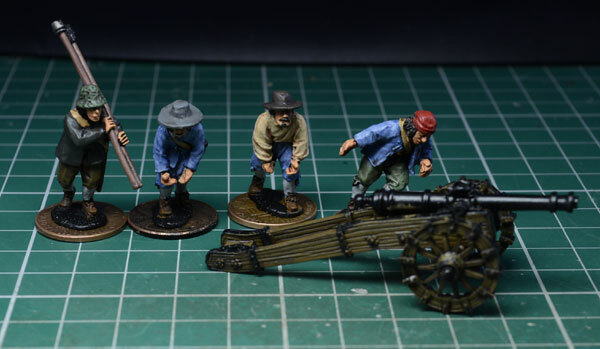 Once I've finished the gun and crew I'll have a day of basing them all up and taking some proper pics of them. Quick snap of the Vortigen WIP. Not sure what what to do with the other figure atm. Maybe a sword in his hand, maybe a standard. What does the crowd think? Wow! Has it been that long since I last posted on this blog?? First up has been Hordes. This seems to be quite popular over here and I have found a local store that hosts games. I say local, its an hours drive away, but that counts as local in mid Ohio! I've started a small Circle force to begin with, mainly because I love the figures. My good friend Rob Jones has painted a Legion force for me which I'll show at some point soon. 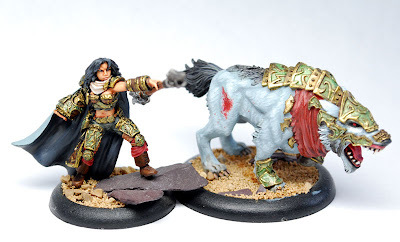 Painting and gaming have been on a real back burner over the last months so I've struggled with anything to put on the blog, but I've managed to do a little bit over the last day or two. 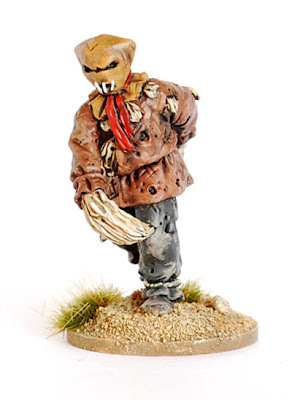 The following is what I am going to focus my painting and gaming efforts on. The rest will be listed here for sale and then ebayed. 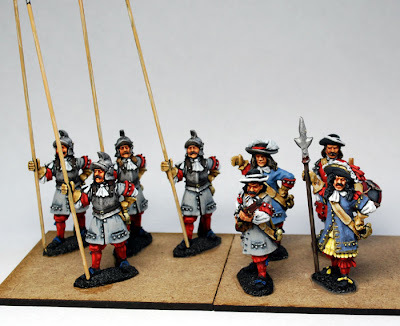 Teutonics - My first Medieval army, figures mainly GB. Two crossbow units finished and a unit of 12 mercenary knights started. 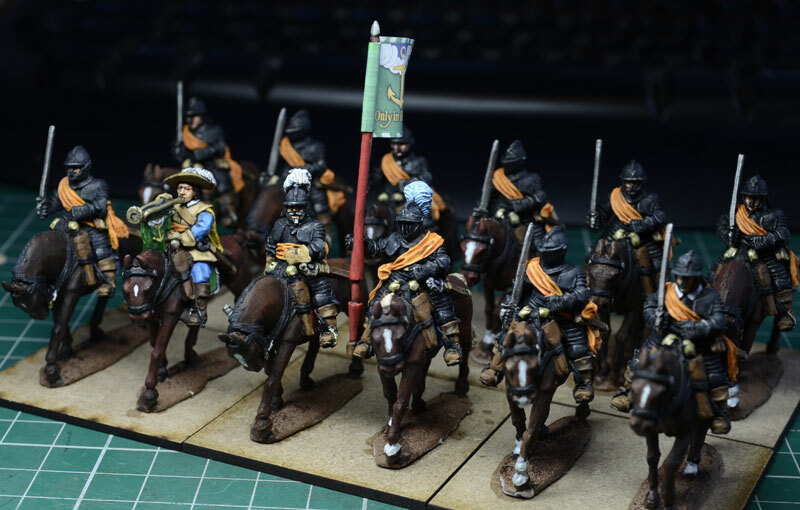 My actual Teutonic Knights are being painted by Dave Imrie atm. This leaves me with a unit of 24 spearmen and an artillery piece to finish. I may concentrate on finishing these first. Hordes - I love some of the figures in this range so I got a couple of starter sets. 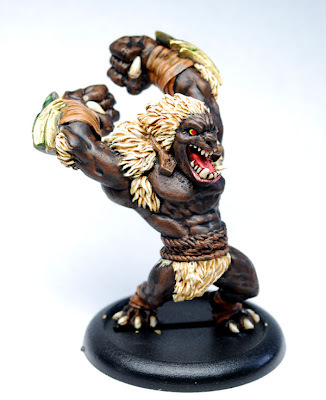 I've given the Everblight set to my good friend RJ to paint up, leaving me with the Circle set to paint. I've not started these yet as I want to spend some proper time on them. I don't predict I'll be getting lots of these figures, just enough for a few fun games. I think I'll just grab the odd piece off ebay if I add to it over time. 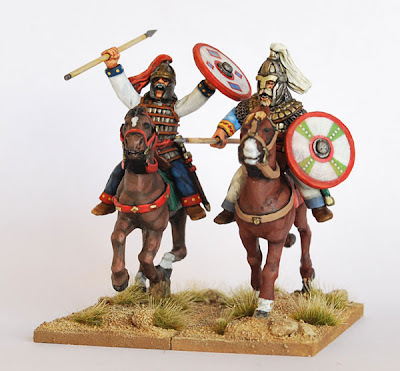 El Cid Spanish - These were started some years ago but were boxed up and forgotten. I have about five units finished for this army and a lot of unpainted figures. Figures are all Crusader Miniatures. I like the units I've done so far so it would be a shame not to finish the project, although its still at the bottom of the list. Early Byzantines vs Goths - This will be the next big project. I'm going to multi base these for use with Hail Caesar rules. They will be much bigger armies than what I'm used to building which is why it will be a big project. 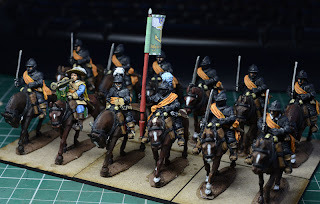 I have a number of Goths already done, by myself and some cavalry done by my friend John Mooney. I also have a unit of Saxons finished which I can use as allies for either side. 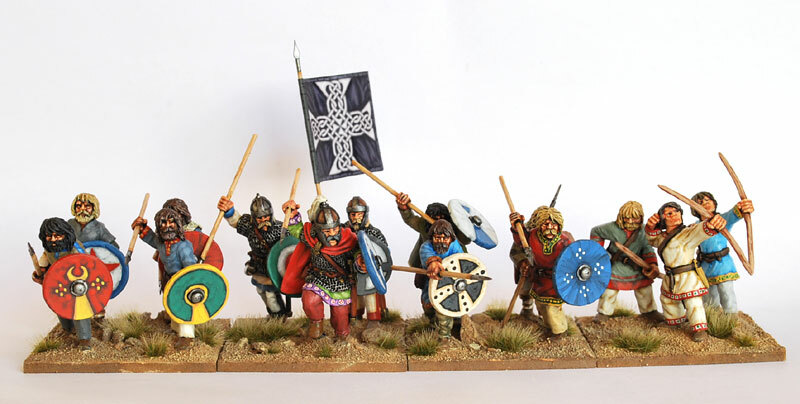 Saga - The new skirmish rules due out late summer from the chaps at Gripping Beast. I fancy building a couple of warbands for this set of rules. They are great fun to play and require some forward tactical thinking during play. 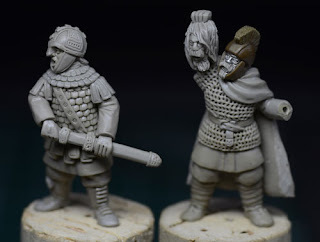 Normans are going to be the first warband, followed by Saxons and then some Vikings. You can get away with 30 figs per side so not a huge amount to do on this one. Unfortunately I've had to put painting on the back burner for a good while, mainly so I can could spend more time making figures. I'm now at that point that I reallllllly want to get some painting done but what makes it worse is I'm in the US atm so can't. So to fill my time I've been taking inspiration from other painting blogs on the net. Saxon Dog blog run by my good friend David Imrie is one of my favourites, and the fact he's currently working on my Late Romans makes it even better. He manages to create snapshots in time in his units which along with superb painting, make them an eye feast all round. Another way I'm keeping my enthusiasm going is by planning a project. Now I have the first of my Late Romans out I am thinking of putting a force of these together along with some Goth opponents. Its an interesting period to game and paint and very colourful. While planning this one of the biggest dilemmas is basing and rule sets. Before now I had based all my figures for WAB, and although my favorite rule set seems to be dying on its arse a number of new rule sets have me interested. First of these is Clash of Empires. This is basically written as a successor to WAB and uses the same basing and familiar mechanics that made WAB so popular. There are some good twists to the rules though which make it a little more tactical is some ways, and it has more focus on command and control and does away with superheroes. No bad thing imho. Next up is Hail Caesar. Now at first I though these would not be what I was looking for, but the more I read them the more appealing they become. This is a set of rules for wargamers who are not bothered about competing in tournaments and want a set of rules that can be adapted to work how they want them to work. There are no army lists, that's up to you. At first I thought I wouldn't like them as they were based on how Black Power works, and I thought it would be difficult for me as I don't have a lot of room for a huge gaming table. Hail Caesar does away with the huge moves possible in BP for a game more in keeping with the period feel. Another plus in my eyes is that basing is unimportant and that means that I can multibase my figures as there is no figure removal. I guess I will get painting first and continue to mull over basing for a while yet. I've actually managed to get some of my Goths painted this week. Really enjoyed painting these for a change. usually I'm not a fan of painting my own figs as I find fault with them as I do them, but these seem OK. Not usually enough hours in the day to paint figs but these had to be done for an advert so had to take a week off from sculpting to get them finished.